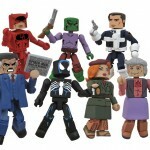 Art Asylum has announced that the Marvel Minimates Wave 43 will be hitting comic stores on Wednesday, February 29. 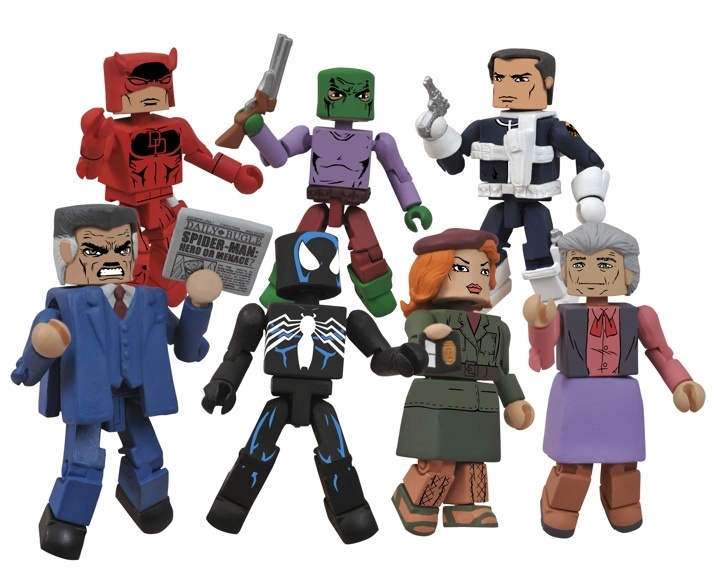 It’s the 10th anniversary of Minimates, and one of the brand’s longest-running lines is about to celebrate its 43rd assortment! 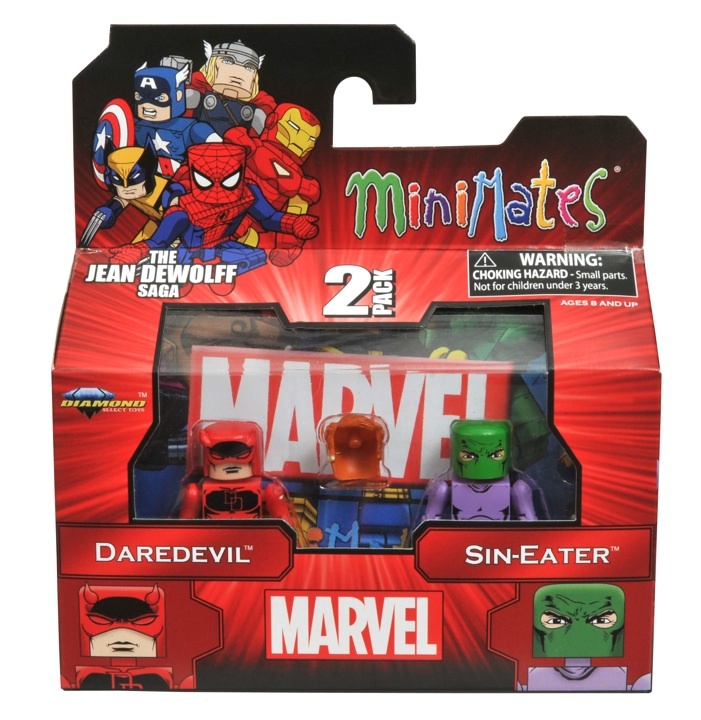 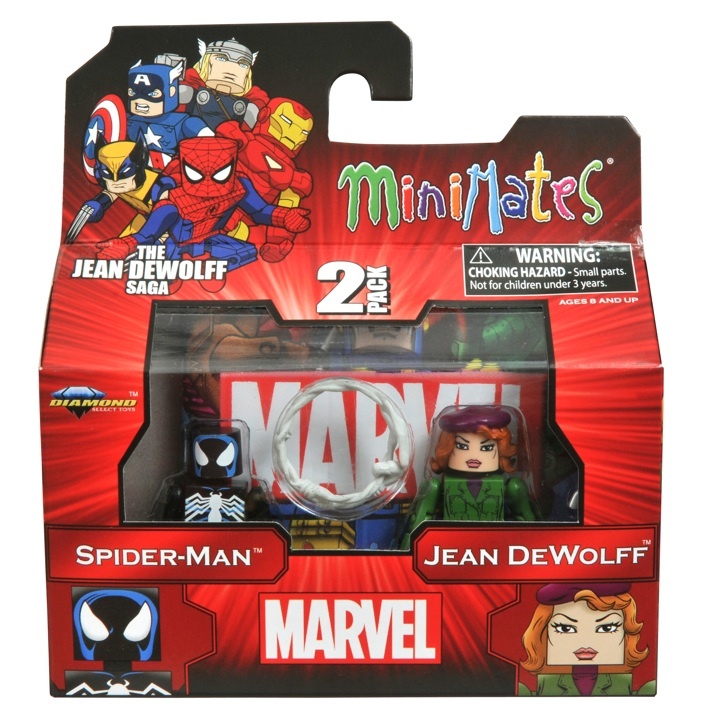 Trickling out to retailers now, Wave 43 of Marvel Minimates is entirely based on the “Jean DeWolff Saga” from the pages of Spectacular Spider-Man #107-110, written by the now-legendary Peter David. 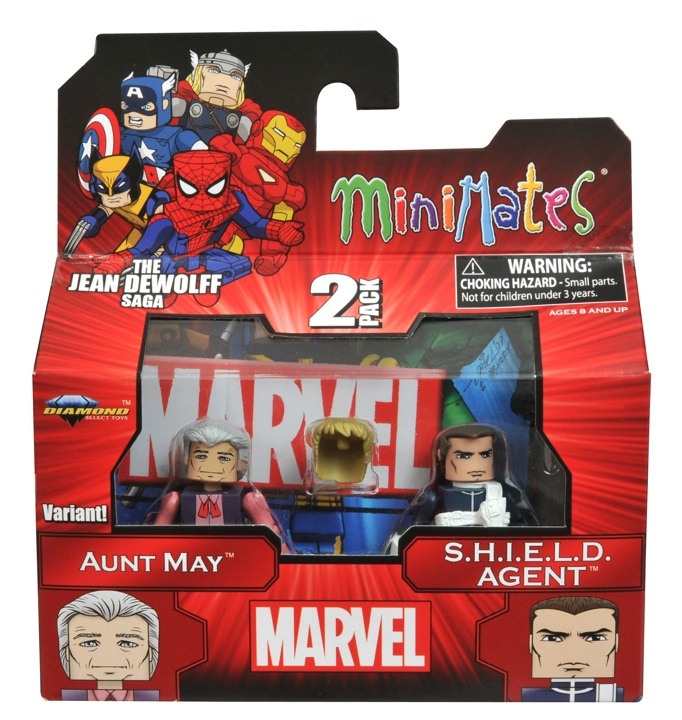 Bringing us the first Minimates of Jean DeWolff, Aunt May, the Sin-Eater and the classic SHIELD Agent, this wave also features new versions of Black Costume Spider-Man, Daredevil and J. Jonah Jameson that will become new favorites in any collection. 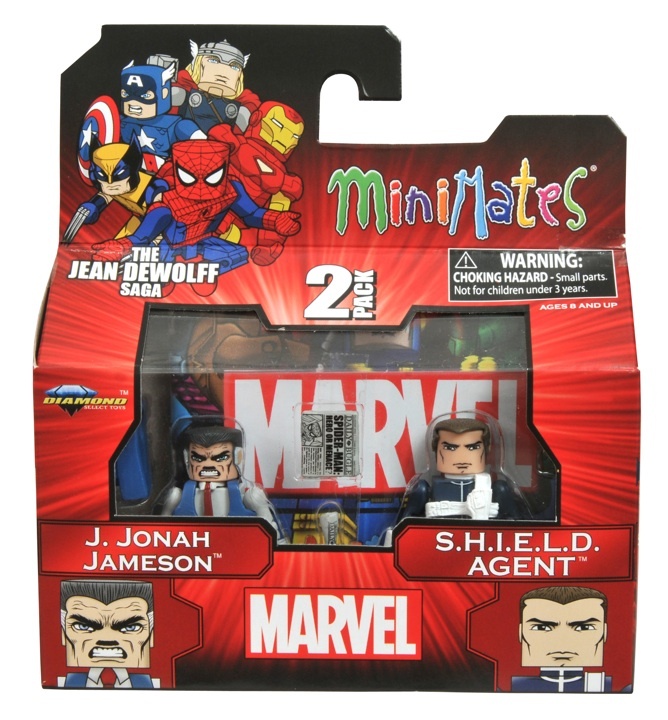 Check out the packaging shots below, and ask for them at your local comic shop or specialty store on Wednesday! 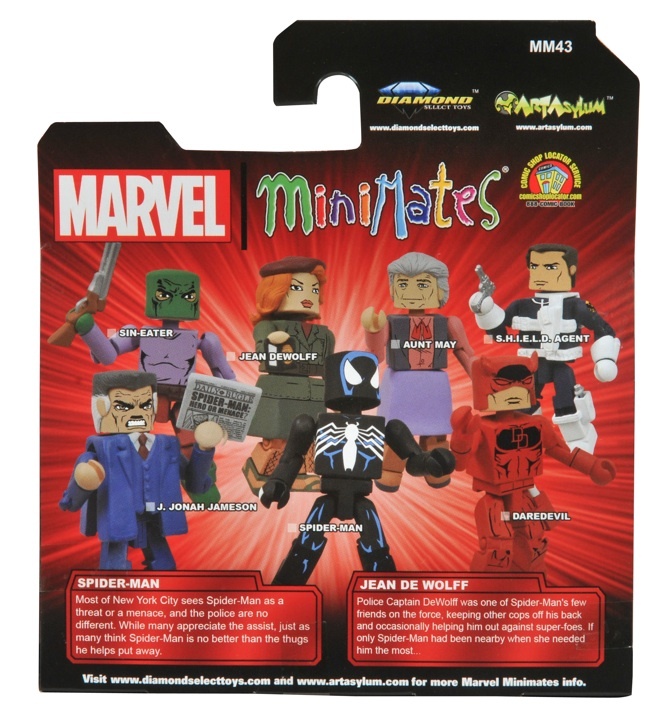 You can see some in-package photos by clicking the headline of the story.